If you are looking for a yummy thanksgiving day cupcake that is festive and will make your family love you try these! 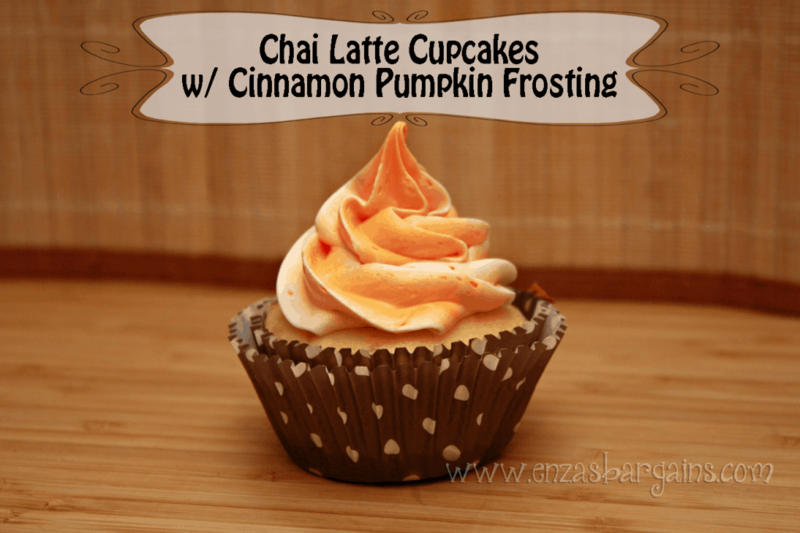 These Chai Latte Cupcakes With Cinnamon Pumpkin Frosting will make your heart flutter and your mouth water! Heat oven to 350F. Place baking cups in muffin tin. This recipe makes 24 cupcakes. Make and bake cupcakes as directed on box. Cool cupcakes completely before frosting. Combine sugar, cinnamon, and nutmeg in a bowl. Set aside. With electric mixer, mix cream cheese and butter until smooth (about a minute). Add powdered sugar slowly. Beat until smooth (about 3 minutes). Add the pumpkin, and mix until smooth (about a minute). Use 1M Wilton frosting tip to achieve similar look to the photo above.